By Jerzy Dąbrowski, director general of Bibby Financial Services Sp. z o.o. The Polish branch of Bibby Financial Services is part of the Bibby Line Group, a diverse, £1 billion global business, operating in 16 countries, employing around 4,000 people in sectors including retail, financial services, distribution, shipping, marine and construction equipment hire. One of the UK’s oldest family-owned business, Bibby Line Group has over 200 years’ experience of providing personal, responsive and flexible customer solutions. The group’s headquarters are in Liverpool and they direct the overall group strategy as well as providing support to different divisions. Bibby Line Group works alongside communities to minimise its environmental impact, while creating safe places for people to work and develop. Since 2007, Bibby Line Group and its employees have donated over £10 million and thousands of volunteering hours to over 1,000 charitable causes. Bibby Financial Services in Poland was established in 2002. As part of the financial services business within the Bibby Line Group, it helps Polish SMEs grow and develop fast. Bibby Financial Services’ main activity is invoice financing (factoring) which helps unlock money for a range of scenarios, including cash-flow funding, new equipment purchase, growth and expansion, management buy-ins and buy-outs, and corporate restructuring. Bibby Financial Services also offers complementary services such as foreign business partners’ credibility check or due-debts collection. Bibby Financial Services works mainly with SMEs operating in transport (national and international), manufacturing and processing, however the services offered by the company are not limited to certain economy sectors and pretty much any enterprise can seek Bibby Financial Services’ help. Since its establishment in 2002, Bibby Financial Services has been steadily growing. Today, the company employs 120 employees in three locations in Poland – the headquarters in Warsaw and regional offices in Poznań and Katowice. Bibby Financial Services is an independent financial institution, which is an asset on the Polish market dominated by large banks. The last year was a record 12 months for the company – revenue rose by 22% and the number of clients exceeded 800 for the first time. 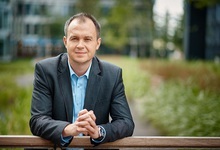 Jerzy Dąbrowski, general manager is convinced that Bibby Financial Services in Poland has a robust business model and foresees another good year with similarly good results. Although some economic slowdown is to be expected, the rising prices of raw materials and rather poor payment discipline should account for further development of the invoice financing market in Poland.